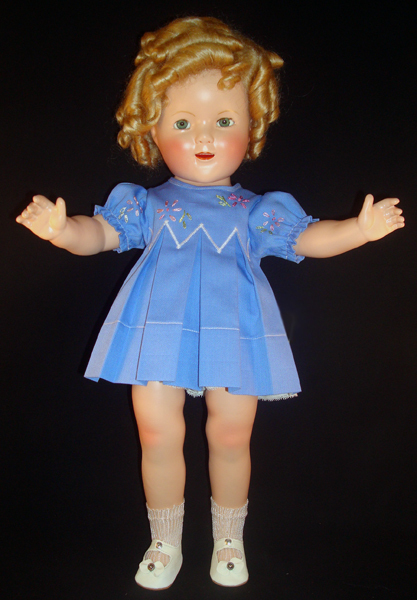 This dress is an exact copy of an original tagged Shirley Temple Doll dress. 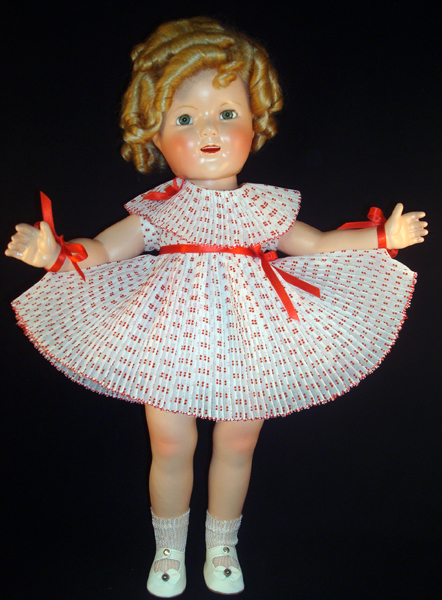 The Shirley Temple Doll Scotty dress is from the 1935 Show “Our Little Girl”. 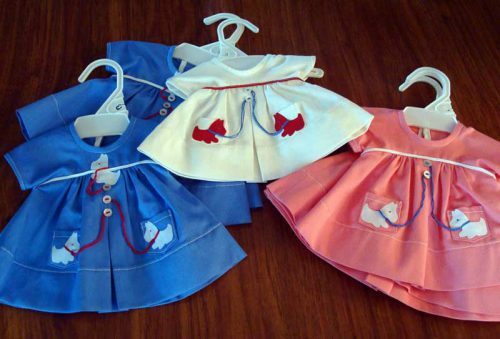 The dress originally came in blue, white, red, and coral with Scotty dog appliques. 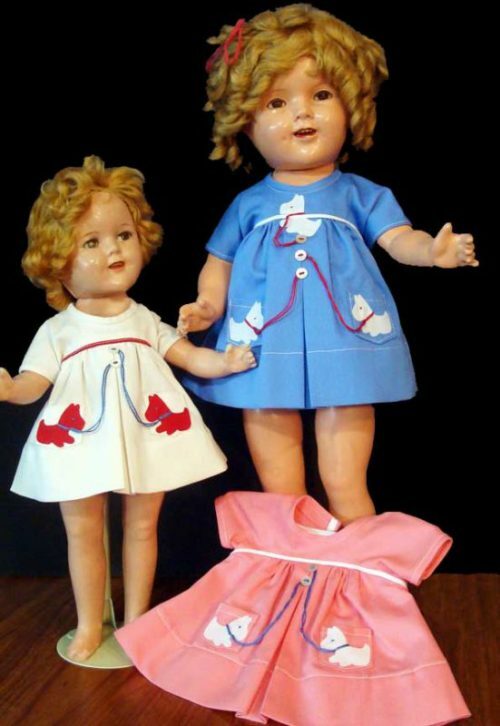 The larger sizes have three Scotty dogs, while the smallest size just has one. Colored leashes flow from the buttons to the applique Scotty dogs. 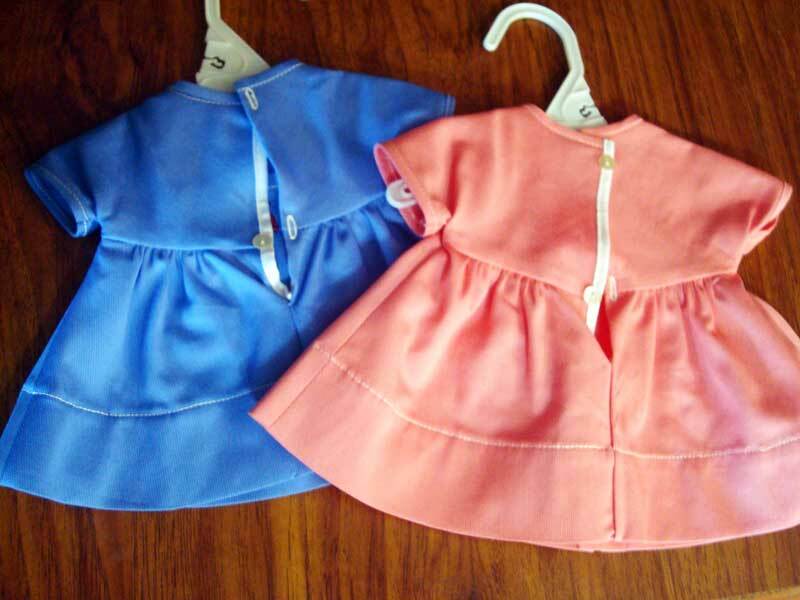 Each dress has a pleat down the front with one to three buttons, depending on size. The back closes with two white buttons. 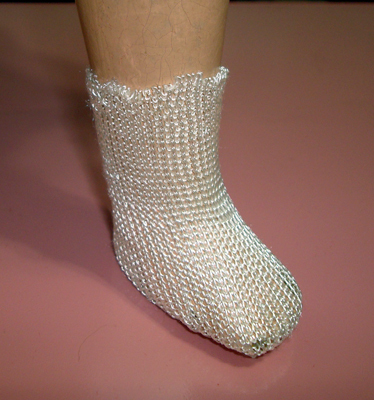 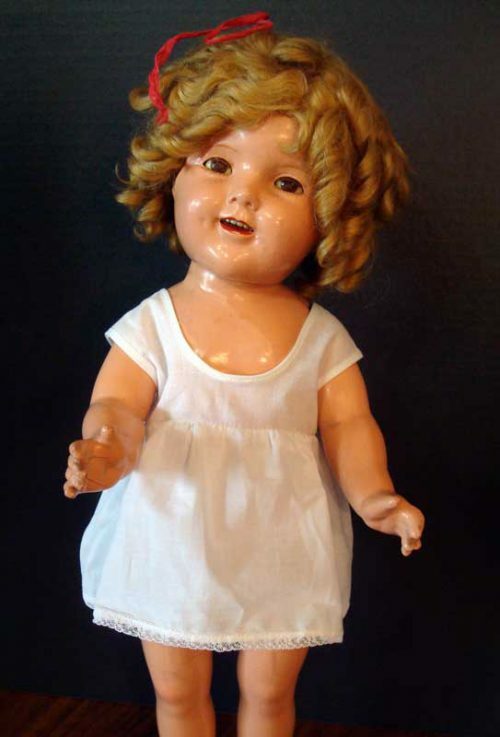 This Shirley Temple Doll Scotty Dress is made from baby wale pique, just like the original dresses.